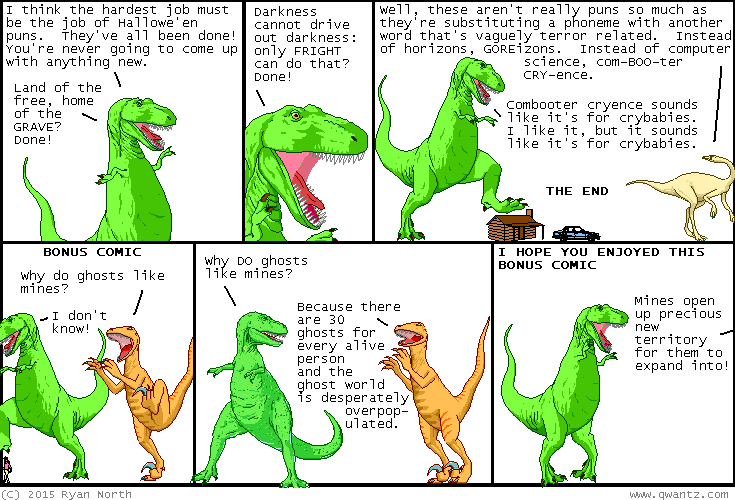 Dinosaur Comics - October 30th, 2015 - awesome fun times! October 30th, 2015: HALLOWE'EN IS MY FAVOURITE HOLIDAY, I HOPE YOU ENJOY THIS HALLOWE'EN AND DON'T GET TOO SPOOKED! !